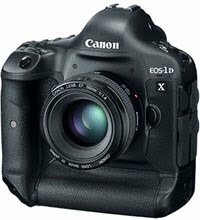 Canon has set a release date for their latest flagship, the Canon EOS-1D X, which was announced in October 2011. This fine piece of equipment is now expected to be available at the end of April, about a month after the new Nikon D4 (which is going to be its main competitor) will become available. Note: with the ultra fast XQD cards, Nikon's effective buffer capacity is probably even higher. Note: I have not yet seen a comparisons of their respective low light performance, so it remains to be seen whether or not Nikon still remains the low light champion, like in the last couple of years. Note: D4's AF works in one stop lower light and with up to f/8 lenses, Canon only goes to f/5.6 lenses. Note: While Nikon has uncompressed video out capabilities, Canon does not. All in all both cameras look great with both having some (smaller) advantages over the other. The higher framerate of the 1D X may be great, but what if they aren't in focus all the time? On paper (and from experience with previous models of both makers), Nikon (clearly) has the better AF system. If that translates in more and better keepers, the Nikon may actually be the better choice for sports/action/wildlife photographers. However, in the end, which camera is best (and under which circumstances), is something that will have to show itself in practice, when we can compare image quality and shooting experience. 28 Feb 2012 update: new buffer size info for the Canon added (previously unknown).